Well... this one doesn't move, but it's so gorgeous I just had to have it. 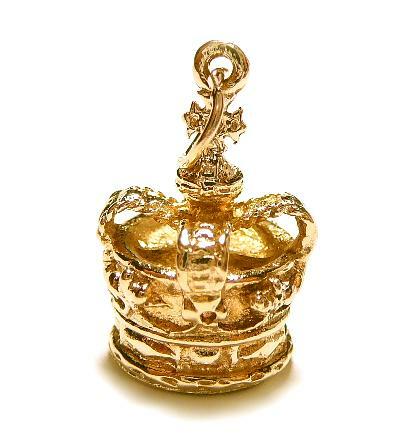 If you've been to the Tower of London to see the Crown Jewels (why do they call it the Tower when the jewels are kept in the basement? ), or if you just feel like a queen -- then you need this crown on your wrist. Lots of gold in this one, too. Marked 14K. 19.3mm (0.76 in.) high including the bail. Weight is a very hefty 4.5 grams.